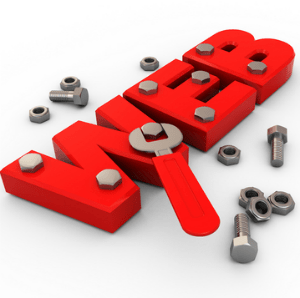 This is a tricky subject because useful tools for web designers may include a lot of things. Some people think that an easy to index java library is a great tools, where others think that a color coordinator tool is the most useful. This article contains a list of varied tools that some web designers are going to find very useful. The tools vary which is why they have not been ranked in any particular order. Add your portfolio to this app on your iPad and let people flip through your images and personalized content. It turns your information into a magazine format so that you can show clients your designs and images in a more stylish and potentially more professional manner. You can even flip through it yourself if you have a few social feeds you want to check up on. This is a very useful HTML re-processing script that you can use to create typography. It is good because it will corrects things such as ellipses and such as smart quotes. It will also adds tags for script, code and pre automatically. It is a handy to have around but requires Windows Installer 3.1 plus .NET Framework 3.5 SP1. With this you can make your design process a lot simpler. You can use advanced selectors to author your modern CSS. You can use properties such as the border-radius and you can use custom font faces. It creates CSS that works on the older versions of the Internet Explorer and makes your design process a little more simple. It is ideal for web designers. This is a chart that may be broken down very neatly by the symbol and character. You can click on your character or symbol and you get all the detailed information you need about it. You are also given a test page and an SVG format outline. You are given a variety of character sets and encodings too. It is a very handy tool for the conscientious programmer. This is a directory that is filled with existing file extensions along with free tools that you can use to open them. Within this website you will find a free-to-use program to open just about any type of file you could ever wish to open. It is very good for more than just web design and programming. Kate Funk is a freelance writer at http://www.aussiewriter.com. She is mainly focusing on technology, gadgets and all the latest SEO trends which are interesting for networking enthusiasts.